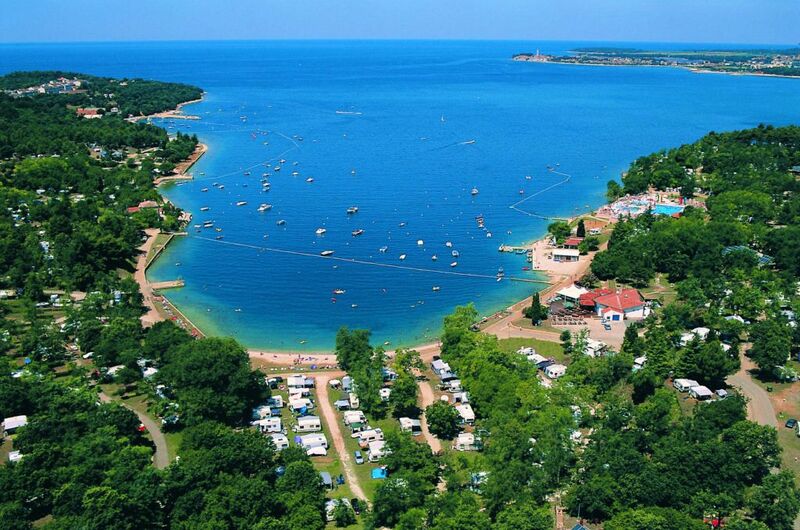 Camp Lanterna Tar/Porec*** is situated on the Lanterna peninsula 13 km north of Porec, the campsite is among the biggest in Croatia with capacity of 9.000 campers. 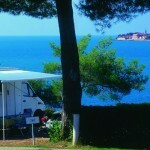 In terms of facilities and services, only a few camps can compete with the offer at Laterna Camping. 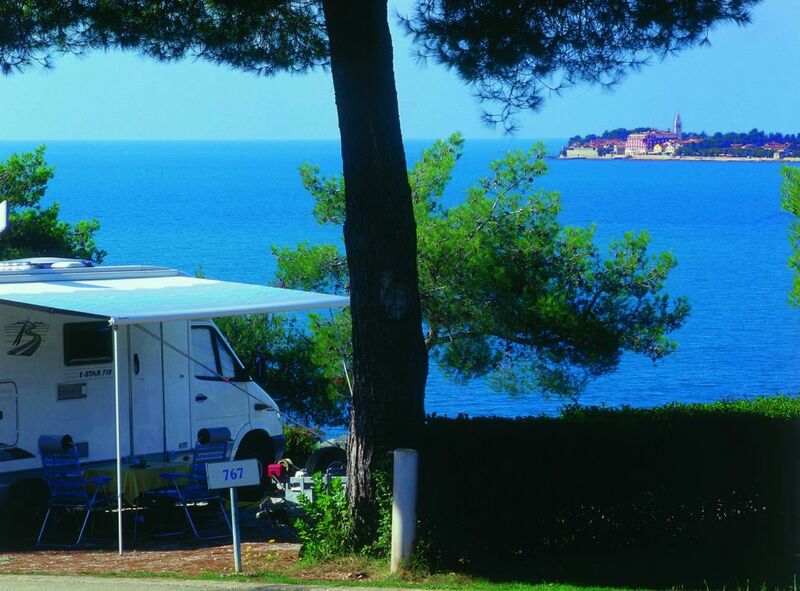 Majority of the campsite is cover with pine and oak trees, the campsite offer 5 types of pitches and plots ranging from standard plots to the 200 m2 mega pitches, in addition to the camping area, Laterna also offer tent rental and mobile homes. The campsite has numerous sanitary buildings, the sanitary offer include, hot water showers, private showers, baby changing area, special shower and toilet facilities for the disabled, laundry room and equipment/area hand washing clothes and ironing, Special shower areas for dogs, and of course facilities for dish washing is also available. Fridge boxes are available next to most of the toilet buildings. 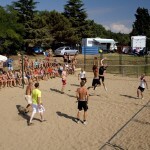 Well in terms of facilities Camping Laterna is more like a small town, on the campsite there is a supermarket, bakery, fruit market and fresh fish market in the main season. Of course there are also several kiosks / newspaper stand as well as payphone on the campsite. The culinary offer an a la carte restaurant, a pizzeria, a fast food restaurant as well as take a way service. On the campsite there are also 5 bars, pool bar, beach bar and a special bar for teens. The animation and entertainment program at the Laterna is amazing, the morning starts with activities like aqua aerobics and gymnastics, during the day there is organised bike trips, various tournaments and even an art studio. 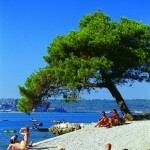 The evening program includes live music events, folklore, dancing beach party and much more. For the smaller ones the Mario mini club has daily activates and sports events, in the mini disco and animation program. 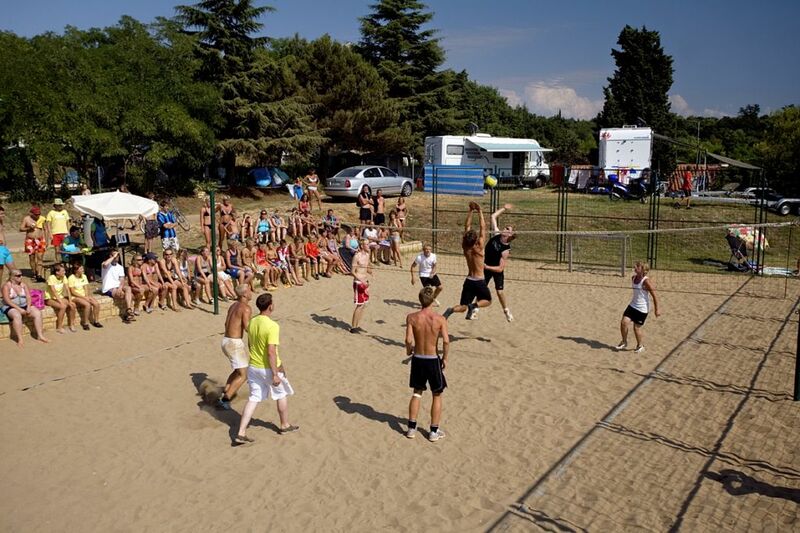 At there campsite there is sport activities for everyone, the program ranges from tennis, table tennis, beach volley ball, football to diving, at the campsite own diving centre. The water sport activities also include pedal boats, water skiing, sailing boats, motor boats and much more. The blue flag pebble and rocky beaches in the bay are, has areas for sport, areas for children, special access for disable persons. 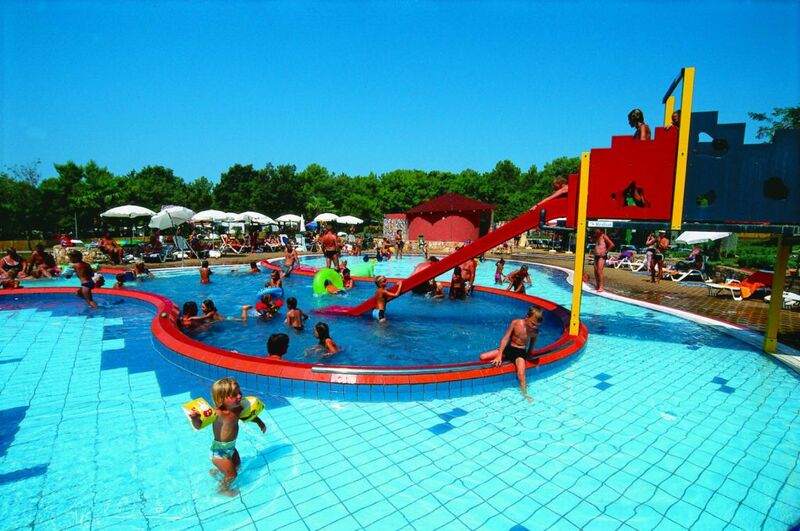 The Swimming pool at the campsite includes a fresh water pool for adults and a fresh water pool for the smaller ones. 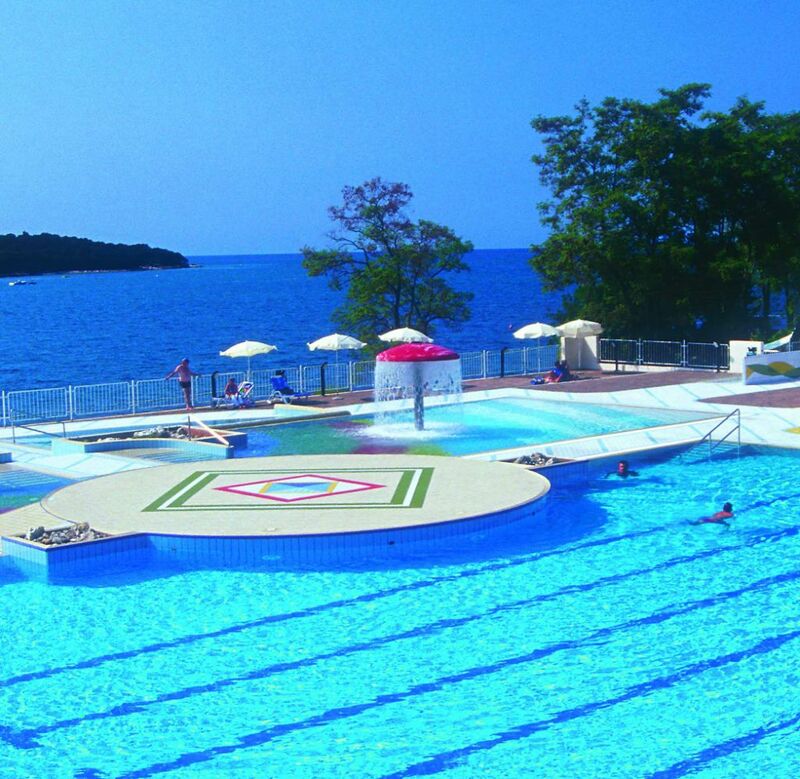 Deckchairs and parasols are available at the pool area. 80-120 m2 with water and electricity hoop up. 80-120 m2 electricity hoop up. The camp offers rent of air-condition mobile homes, the mobile homes are equipped with Kitchen and living room, main bedroom, bathroom and covered terrace. 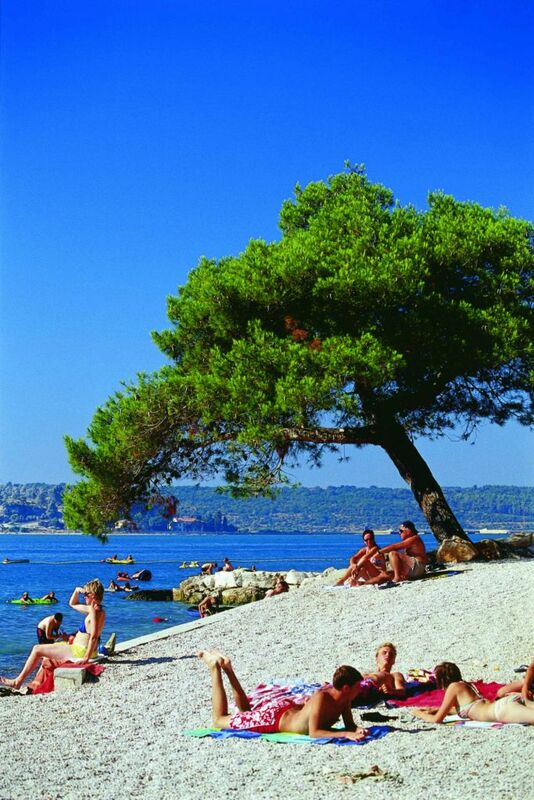 Distance to the centre of Porec is about 13 km, which is about 19 minutes drive. 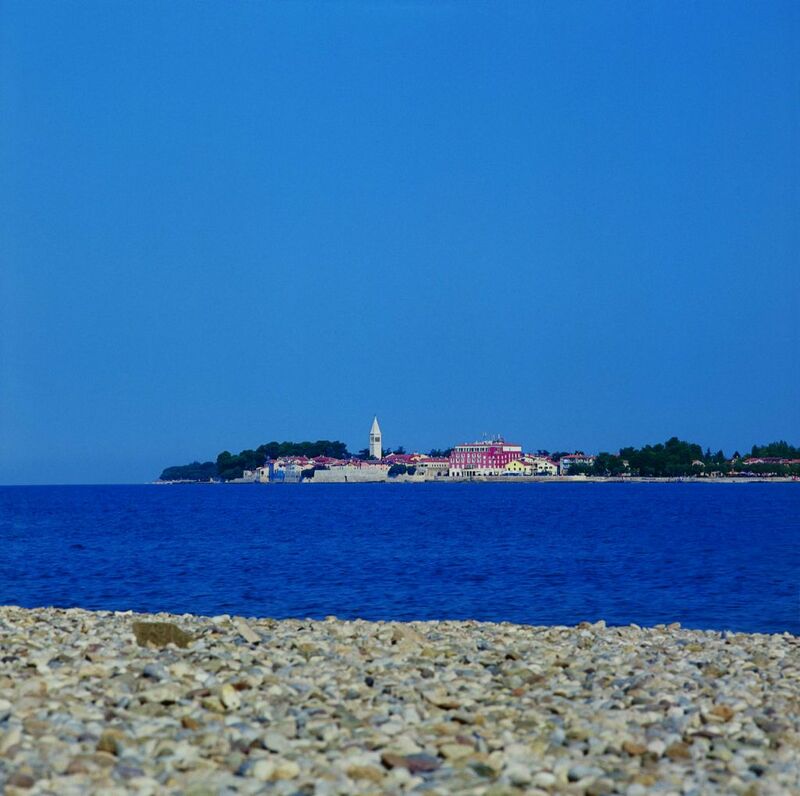 Distance to the centre of Novigrad is about 11 km, which is about 17 minutes drive. 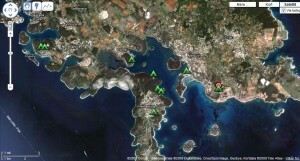 Distance to the centre of Tar is about 4 km, which is about 7 minutes drive.